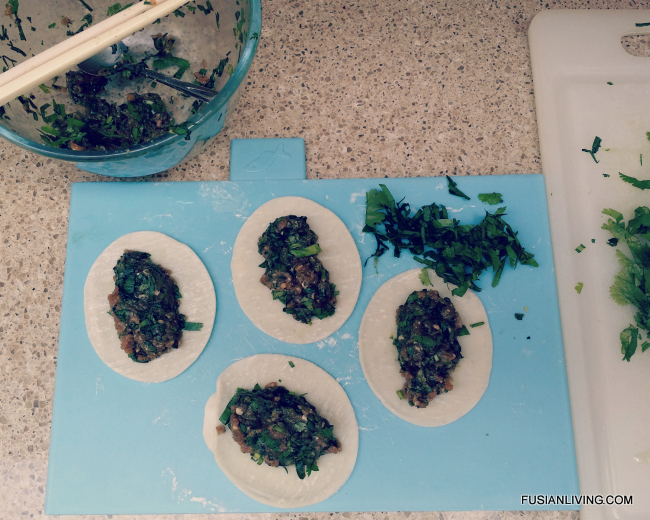 Wild garlic and pork dumplings | Grow Your Own Veg Blog. Gardening and Food Blog. 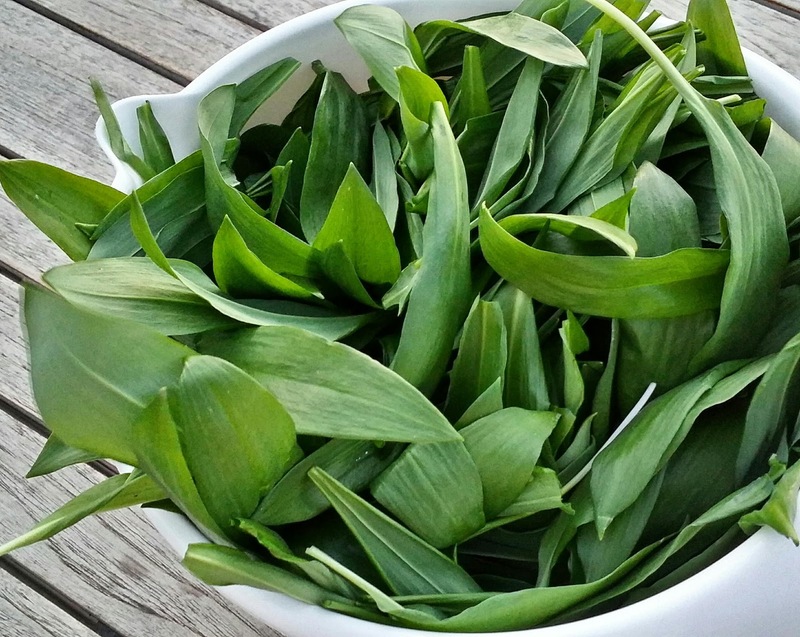 A recipe for wild garlic ..
Wild garlic grows in abundance in spring. We are lucky enough to have masses of wild garlic growing in woodland close to us, so we can return year after year to forage for this wonderful herb. To me, they are similar to Chinese garlic chives, just with larger leaves. 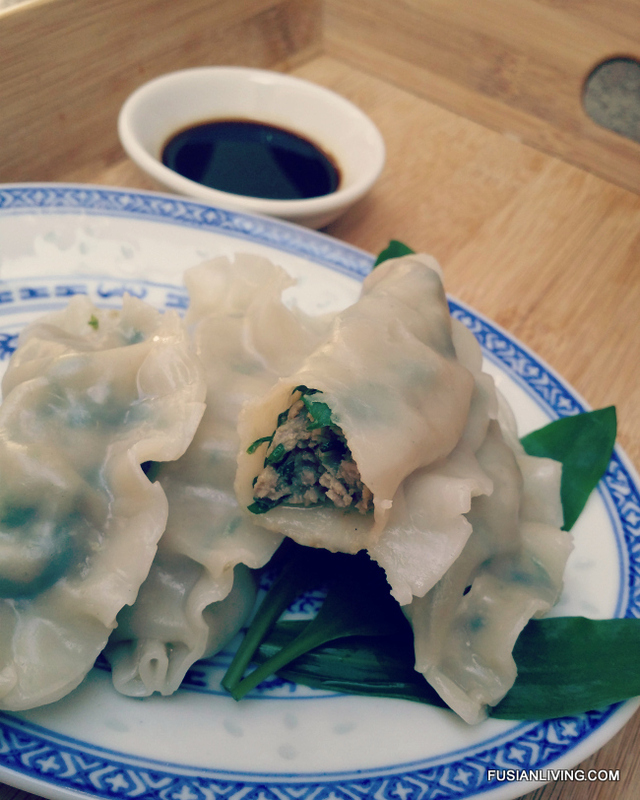 In this recipe, wild garlic is combined with minced pork to make tasty chinese dumplings. The mince needs quite a bit of seasoning. I always make a few to begin with, cook them and then do a taste test. You may find you need to tweak the seasoning to get it to your taste. Place some filling into each wrapper. Dip your finger into a small bowl of water and run it along the edge of the wrapper. Now, fold the wrapper in half and press down to seal (creating a ruched edge). Boil for 3 minutes, and aaaaaah .... tasty dumplings. For the dipping sauce, you can simply serve the dumplings with light soy sauce or sweet soy sauce. I like a mixture of black vinegar (or rice vinegar), light soy sauce and chilli sauce. Combine minced pork with soy, sesame oil, wine, oyster sauce, ginger and wild garlic. Season with salt and pepper. Lay out the dumpling wrappers. Take a spoonful of the mixture and place in the centre of the dumpling wrapper. Fold wrapper in half. Dab some water along the edge, then press to seal the edges. Bring a pot of water to the boil. Lower the heat to simmering. 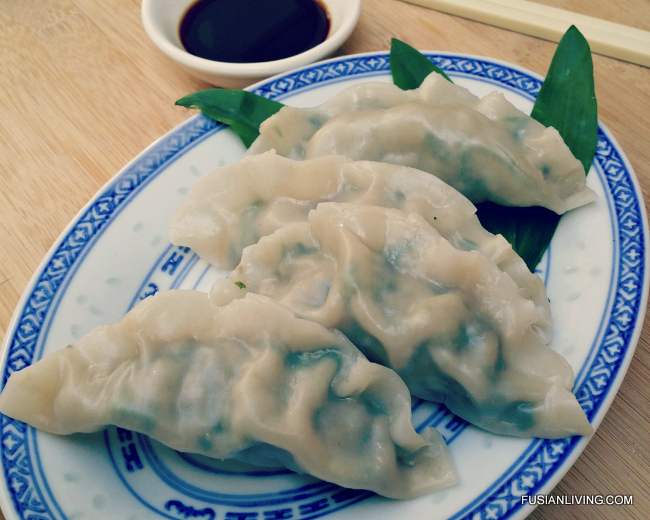 Cook dumplings in for 3-5 mins (until pork is cooked). Remove dumplings from water and serve with soy sauce or black vinegar. To make the dipping sauce, mix together soy sauce and vinegar. Then, add chilli sauce. The young leaves of wild garlic begin to emerge in March and the season runs to June. In the later months, they will form clusters of white flowers and the leaves will be less tender. Rub the leaves of wild garlic and there will be the unmistakable scent of garlic. Be sure not to mistake it for the poisonous Lily of the Valley.